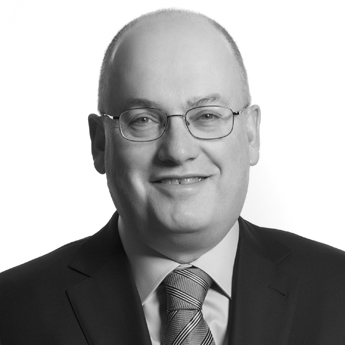 Steven A. Cohen is the Chairman and Chief Executive Officer of Point72 Asset Management. He founded S.A.C. Capital Advisors in 1992 and converted his investment operations to the Point72 Asset Management family office in 2014. Mr. Cohen previously headed his own trading division at Gruntal & Co. where he managed proprietary capital for 14 years. Mr. Cohen has a B.S. in Economics from The Wharton School at the University of Pennsylvania. He is the Co-Founder, Vice President and Treasurer of the Steve & Alexandra Cohen Foundation, which is committed to achieving lasting and meaningful change in our community through children’s health, education, veterans, and the arts. Mr. Cohen also serves on the Board of Trustees at the Museum of Contemporary Art (MOCA) in Los Angeles and the Emeritus Board of the Robin Hood Foundation. Mr. Cohen’s support for veterans dates to his service on the Robin Hood Foundation’s (RHF) Veterans Advisory Board. RHF announced in 2011 that it was creating a program to aid the growing number of veterans, reservists, national guardsmen and their families living in poverty in New York City. Mr. Cohen, already a member of the RHF Board of Directors, teamed with Admiral Mike Mullen to co-chair the RHF Hood Foundation’s Veterans Advisory Board. To help provide additional support, in 2013 Mr. Cohen’s family foundation, the Steven & Alexandra Cohen Foundation, gave the largest individual single private gift in the nation to fund PTS research. Every day, many veterans and their families are living with the mental and physical scars from serving their country during military service. The Cohen Veterans Network was created to serve them by providing high-quality, accessible, and comprehensive mental health care. Through our client-centered, customized outpatient care, we support veterans and their families as they begin their next mission: healthy and happy lives. At Janssen Research & Development, LLC, we are dedicated to addressing and solving some of the most important unmet medical needs of our time in oncology, immunology, neuroscience, infectious diseases and vaccines, and cardiovascular and metabolic diseases. Driven by our commitment to patients, we develop innovative products, services and healthcare solutions to help people throughout the world. 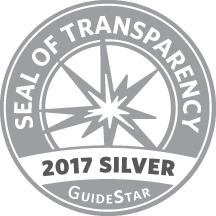 Janssen Research & Development, LLC and Janssen Pharmaceuticals, Inc., are part of the Janssen Pharmaceutical Companies of Johnson & Johnson.